The Music Team drives the ensemble towards our artistic goals by leading our rehearsals each week, selecting meaningful and challenging repertoire, bringing in expert coaches, conducting regular vocal assessments, and participating in workshops to improve their own conducting, directing, and visual skills. Mira is a widely successful performance artist and designer with over 15 years of experience in a cappella, barbershop, and dance. Most recently, she served on the Visual and Music Teams for the Harmunichs, a three-time champion of Barbershop in Germany (“BinG!”), and in March 2016, she took home the bronze medal with her quartet Kickstart at the BinG! National Convention. This allowed her to join the Heavy Medal chorus, a mixed Barbershop ensemble from Germany consisting of BinG! quartet medalists. She is a recurring faculty member at BinG! Harmony College and has been an ambassador for expansion and celebration of barbershop music in Europe. She is also a professional senior graphic designer with over 7 years of work experience. Dubbed “the next generation of a cappella specialist” by Pitch Perfect and The Sing-Off vocal producer Deke Sharon, Kari Francis is an avid vocalist, arranger, and choral music educator. She has shared the stage with Taylor Swift, Imogen Heap, and competed on Season 3 of NBC’s The Sing-Off with Kinfolk 9. Recent publications include the chapter “Vocal Percussion for Everyone” in So You Want to Sing A Cappella: A Performer's Guide published by the National Association of Teachers of Singing (NATS). She is currently a vocal teaching artist with Midori & Friends and The Center for Arts Education, and made her Lincoln Center debut as a featured beatboxer in the 4th annual Total Vocal. Kari is an active lecturer and clinician, giving workshops on musicianship, arranging, and vocal percussion at music festivals and vocal camps across the States. You can learn more about Kari at her personal website here. Anna joined Sirens in February 2013 and has served in various leadership capacities ever since. Always a performer, she has studied Ukrainian folk dance and ballet from a very young age and currently performs with a number of Tri-state area ensembles. She began studying dance and music more seriously in high school, going on to hold leadership roles in multiple vocal groups under the direction of Patty Danner (Hickory Tree Chorus, Drive! Baritone), who first introduced her to a cappella singing and barbershop music. She currently sings with the mixed quartet Spicy Special, who took home 2nd place at the Barbershop Harmony Society Mid-Atlantic Northern Division contest in April 2018. Anna hails from northern New Jersey, but has been living in New York City for 10 years. She is a graduate of Barnard College at Columbia University and currently works in brand strategy at an advertising agency in Manhattan. Stephanie’s studies in the performing arts have taken her to New Jersey, New York, Texas, Florida, Canada, England, and back. She is an accomplished seamstress and vocal artist, having performed as both a soloist and ensemble member. She is also a current front row member of the Harmony Celebration Chorus (SAI). She currently works in the Cresskill School District where she teaches music, theater, and dance, works instrumental and vocal ensembles, is the Tri-M Music Honor Society Co-Advisor, Principal Players School Musical Choreographer, and Fall Drama Director. Stephanie received a Bachelor of Arts in Musical Theatre and a Masters of Arts in Teaching in Music Education from Manhattanville College. Lana discovered her love of barbershop singing with the Sirens of Gotham in 2014, but she began classical voice training at the age of 14 and continues to this day with her longtime teacher on the Upper West Side. She fosters a passion for opera that started early with her father's influence; they continue to share and enjoy a season subscription to the MET. Over the years, she has been active in choral singing, chamber choirs, and musical theater. Her favorite roles have been the title role in Evita and Sarah Brown in Guys & Dolls. Her interest in the arts led her to study Accessory Design at the Fashion Institute of Technology. She now works as a Design Director for Nina Footwear in NYC. A native of the Poconos in Pennsylvania, she has lived in the NYC area for the past 15 years and now enjoys a daily escape to the suburbs with her husband, David. Helen joined Sirens of Gotham in January 2016. This is her first experience singing barbershop, and what a wonderful experience it has been! In New York, she has been a member of contemporary a cappella group The Callbacks, as well as the Fieldston Choral Society. She holds a Bachelor of Arts in Theatre Arts and Music from Drew University, where she was a member of the Drew University Chorale, Madrigal Singers, and Musical Director for the all-female a cappella group On A Different Note. She has been singing in various groups since she was 5, and will continue to do so as long as they will have her. 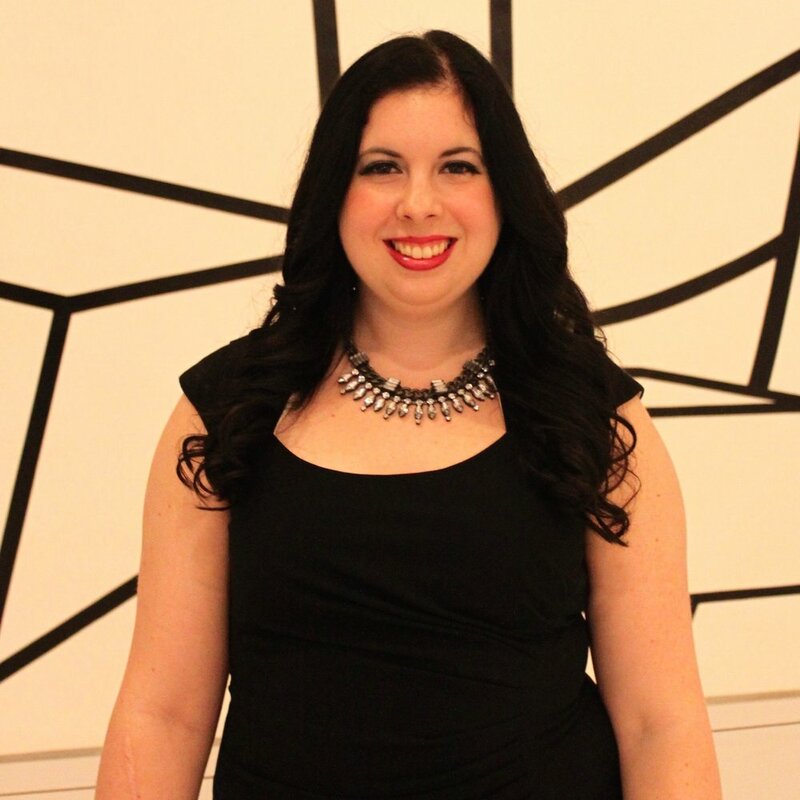 Katherine joined Sirens of Gotham chorus in 2014 and has since also become the baritone for Elemental Quartet. She has sung with Gotham Rock Choir in NYC, Fairfield County Chorale in Norwalk, CT, and multiple ensembles at Dickinson College in Carlisle, PA. Originally from Annapolis, MD, she studied Computer Science and Mathematics at Dickinson College and now works as a software engineer in NYC. Alexandra joined Sirens of Gotham chorus in 2017. Originally trained in classical piano, she has sung with Peninsula Women's Chorus in Palo Alto, CA, as well as in Proof of the Pudding and Whim 'n Rhythm of Yale, serving as Musical Director and Assistant Musical Director respectively. Originally from New York, NY, she studied Computer Science at Yale University, where she took her fascination with a capella arranging into algorithmic realms for her senior thesis. She now works as a software engineer in NYC. Alexis is a proud Lady Bass. In 2012 she joined the then prospective Saratoga Soundtrack Chorus and has been barbershopping ever since! She is a founding member of Sirens of Gotham and an Associate Member of the Harmony Celebration Chorus. Her studies and professional experience in the arts as well as her many years of theater and barbershop performance makes her a valuable resource on movement and performance. She is thrilled to support and contribute to Siren's visual team, to be an active in Region 15 faculty member and coach, and to sing Bass with her quartet Repeat Offenders. Sarah Clay Lindvall is an arts educator dedicated to inspiring others through innovative, creative, and experiential teaching and performance. She currently serves as the Director of Arts Education and Community Outreach for the ArtsBridge Foundation in Atlanta, Georgia. Prior to taking the position at ArtsBridge in October 2017, she served as Director of Sirens of Gotham and was the Director of Music and Dramatic Arts at the Notre Dame School of Manhattan, where she started the school's first music and dramatic arts program.